I want to display three levels in my game...but I don't know what the text should say. Basically, I want the form that describes the person playing the game, instead of the game itself. What adjective is best? I doubt my users will know what adept means. Also, I need something in between expert and beginner. Adept falls into the expert category. Is there anything more common that I can use, that has the same impact as the other two words I mentioned? Proficient would work, theoretically, but in day-to-day term, the levels "beginner - proficient - expert" won't sound great. intermediate (noun): one that is in a middle position or state. @Rathony If you choose to post "intermediate" as an answer I will happily delete mine or edit it to suggest other alternatives. UPDATE: Some EL&U users have challenged the use of intermediate as a noun. Some went as far as to say that "I'm an intermediate" have never (sic!) been said. 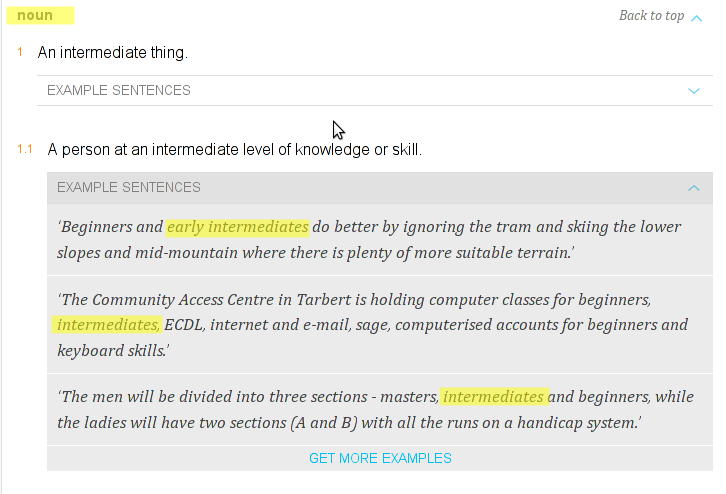 Intermediate is used awkwardly as a noun. And when it's used as a noun it most instinctually means a negotiator. Someone who serves as an intermediate between two parties in conflict. I would recommend the use of journeyman. It doesn't fit perfectly because of the implication that they will not necessarily improve, but in the history of the word in use, many journeymen have excelled beyond their perceived abilities and become champions, or experts. Moderate may fit your needs in terms of difficulty. average in amount, intensity, quality, or degree. You could also change the whole system and use amateur, veteran, and professional. This system is all based on nouns, and can be generally compared with experience and pay. engaging or engaged in without payment; nonprofessional. a person engaged in a specified activity, especially a sport or branch of the performing arts, as a main paid occupation rather than as a pastime. Junior Might fit the bill, it indicates a lower but not necessarily lowest rank. low or lower in rank or status. Keep in mind in context of a game difficulty setting it isn't perfectly clear if Beginner and Expert are nouns so the intermediate level doesn't have to be a noun either. I think you may want to explore using the survey design and analysis principles that have been scientifically accepted for years in the social science field. And they are EASY! Not the answer you're looking for? Browse other questions tagged meaning single-word-requests word-choice phrases adjectives or ask your own question. 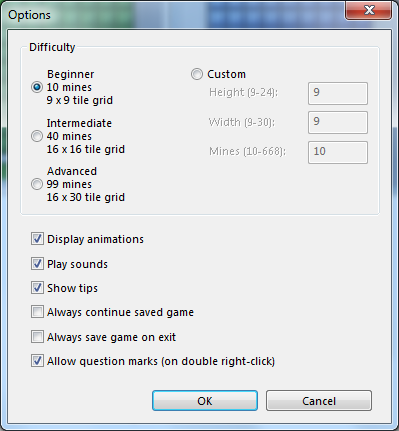 Word for a person who learned something in the past, but is now back down to beginner level? What are common word sets for describing ranks in a profession? What is the name/terminology for these two types of knowledge?